What a gorgeous day here in London! The sun is shining and it’s so warm outside, it made for a glorious cycle into work, we even got to bask outside in the sun at lunchtime! I finally got my hair cut this evening too! 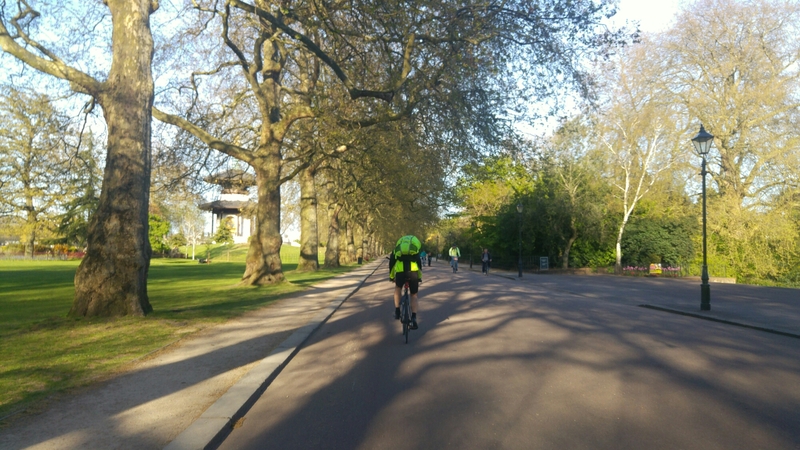 It was another lovely cycle to the hair dressers through Battersea Park, my old stomping ground – just delightful. Sunny AND warm! Finally ay! I’m heading out this evening in summer kit… for the first time this year 🙂 long may it last! I haven’t quite committed to actual shorts yet, but the thermals have been stowed away!